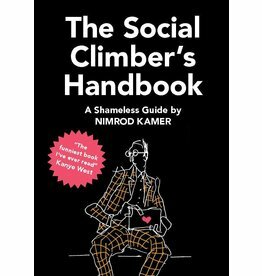 Nimrod Kamer is known to insert himself to every possible political and celebrity function on the planet. He has pestered Kanye West, Rupert Murdoch, Piers Brosnan and numerous other wannabees and has-beens. He is obsessed with Wikipedia hacks, Uber trolling and members clubs. Every guest list is a challenge for him to overcome. Every rejection is an invite. Nimrod is a Gonzo Journalist reporting on special assignments for VICE Magazine, GQ and BBC Newsnight.